Brand new equestrian facility to lease annually or seasonally. 9 Stalls available with electric, water and fans. 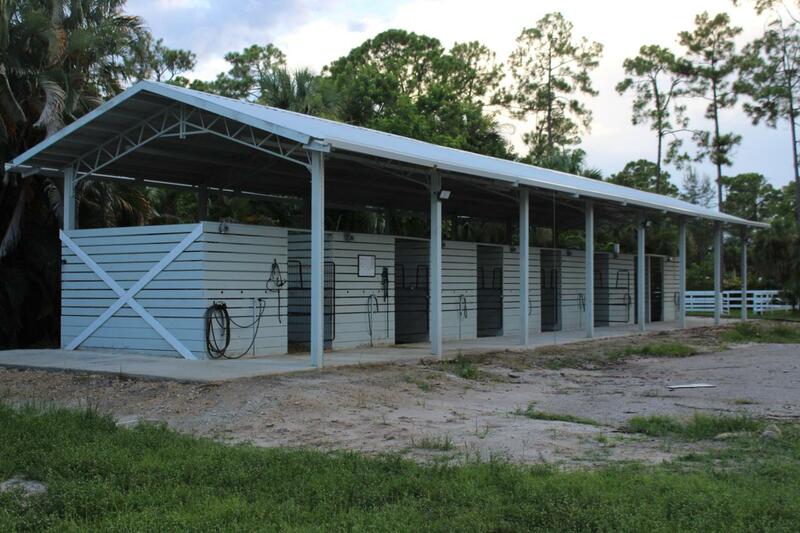 Air conditioned tack room and ample feed storage. Great access to trails (Loxahatchee Groves Park on Southern Blvd). 4 bd home and Luxury RV also available to rent on site (see MLS#: RX-10459654).Professional Dressage and Hunter/Jumper arenas available for additional $s ($100 to $200 per horse per month depending on total number of horses). Centrally located behind Palms West Hospital and Southern Blvd. Perfect for equestrians: 4 miles away from Wellington (WEF), 2 miles from Little Ranches and 10 miles from White Fences Equestrian.